We’re not exactly sure what kind of music iconic late-night talk-show host Johnny Carson really dug — the heyday of his show, the ‘Late Show Starring Johnny Carson,’ was a bit before our time — but it’s probably safe to say he didn’t exactly fall into David Bowie‘s target demographic. Go ahead and chalk it up to a talk-show host making some requisite glowing comments about the evening’s musical guest, but that said, there’s still something endearingly bizarre when Carson began raving about Bowie during his introduction for the singer ahead of his Sept. 3, 1980, performance on the show. First off, Carson points out that Bowie’s “going to be the first rock star that ever plays Broadway” (Bowie was in rehearsals for his upcoming role in ‘The Elephant Man’), then calls him an “innovator” (“he started trends for groups that hadn’t even been thought of”), before finally calling his new album, ‘Scary Monsters,’ nothing short of “remarkable.” “He better be good after this [intro],” concludes Carson, to the obvious delight of the large, Bowie-obsessed crowd on hand for the taping. Carson had nothing to worry about, of course; Bowie was beyond impressive. 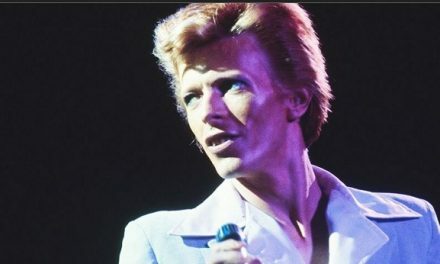 Despite a nearly two-year layoff from performing following the completion of his Isolar II world tour in December of ’78, and the fact that he was still smoking heavily, the Thin White Duke was in top form, likely thanks in large part to the vocal training he was going through for his ‘Elephant Man’ role. 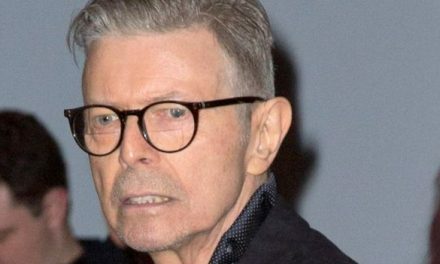 Bowie turned in a two-song performance on ‘Carson’: He opened with ‘Life on Mars?,’ the nearly-decade-old hit from 19’71’s ‘Hunky Dory,’ and then moved on to ‘Ashes to Ashes,’ the first single from his then-forthcoming ‘Scary Monsters’ album, which would drop just a few weeks later. Bowie was in the middle of a commercial downturn in the U.S. at the time; following the Top 10 showings and gold certifications of his mid-’70s albums ‘Young Americans’ and ‘Station to Station,’ his next three (‘Low,’ ‘Heroes’ and ‘Lodger’) failed to accomplish either feat in America. But among fans, critics, his fellow musicians and others in the know, Bowie was as popular and influential as ever, with 1979’s ‘Lodger’ — the final installment of his so-called Berlin Trilogy of LPs — considered one of his all-time most underrated albums. 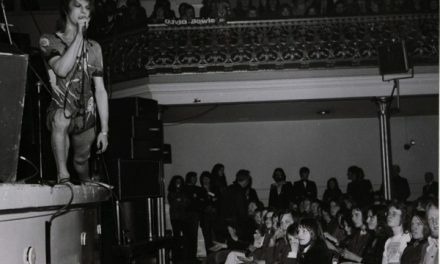 ‘Life on Mars?’ and ‘Ashes to Ashes’ weren’t exactly obvious choices for a late-night talk show performance, were it not for the fact that ‘Ashes’ was the first single off Bowie’s new album. Both ‘Ashes’ and ‘Mars’ have challenging vocal melodies and complex rhythmic patterns, with the faux-operatic and abstract anthem ‘Mars’ a particularly difficult choice. But Bowie was up for the challenge on ‘Carson,’ most likely because his pipes were in tip-top shape at the time. After nailing ‘Mars,’ he seemed particularly excited to premiere ‘Ashes,’ which served as a sequel of sorts to his breakthrough 1969 single ‘Space Oddity’ by revisiting that tune’s legendary Major Tom character. Or, as Carson so eloquently described ‘Life on Mars?’ and ‘Ashes to Ashes’ in his introduction to the performance, they’re “two songs about space.” You can’t sum up the music of David Bowie any more simply than that.